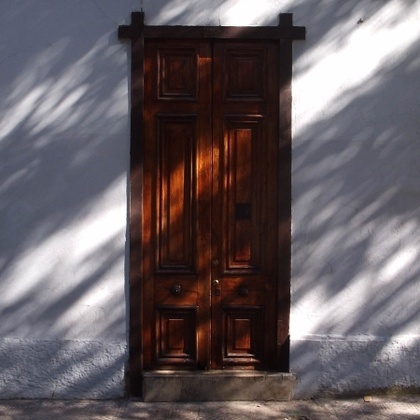 In many ways, the residential areas that surround the old city centre will tell you more of Santiago’s history that its historic quarter itself. Through a circuit of its most notable neighbourhoods, the Chilean capital reads like a timeline: Barrio Dieciocho will take you back to the ostentatious 1890s, Barrio Lastarria to the prosperity of the 1920s, Barrio Bellavista to the avant-garde 1950s and so on. The city ’s barrios are not only a lesson in what is an incoherent architectural evolution, they are also a testimony of Santiago’s haphazard approach to demography. Like in the game of musical chairs, the capital’s population has been shifting in an out of residential areas with undisturbed whim. Factors like status, class and fashion sense all played a huge role in the rise and fall of barrios and the fate of those obsolete neighbourhoods brought in deterioration as the city continued to spill out to new residential areas. Shady, leafy side streets of the city’s nostalgic barrios. In the past few decades, the country’s perky economy and the urge to halt Santiago’s expansion has inspired the pioneers of urban regeneration to launch ambitious projects in those neglected barrios. Notable achievements can be appreciated in Barrio Brasil, Bellavista and Lastarria whilst efforts in the Barrio Dieciocho and República are just beginning to take off. Sprucing up run down areas also became a priority for the city’s authorities, who now promote stricter planning regulations and secure the crucial cash injection for conservation work. But the human factor has been no less important in the revitalisation of the city’s traditional quarters. The repopulation of these iconic areas with visionaries, artists and (well, the much needed) impresarios, have all breathed new life into the barrios. These trendy urban spaces now blend a quasi-village life with progressive joie de vivre, yet always keeping an open mind about diverse lifestyles. Quite a happy ending for places that were originally built to accommodate reactionaries and emphasize the capital’s socioeconomic divisions. 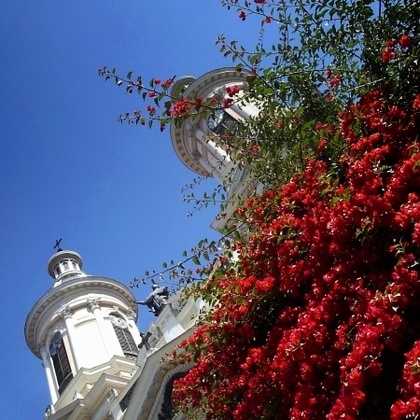 As a visitor, Santiago’s districts have also been bolstered with a renewed appeal. Of course, not every regeneration project is ripe and ready, and in certain areas you will still need to be selective about where to set foot or you’ll risk finding yourself deep in unexciting suburbia. But there are innumerable leafy and tranquil side streets to stroll around in Bellavista which are opportunely peppered with bars, cafés and artsy small shops to stock up on pressies for the folks back home. Lastarria or Barrio Brasil, from their part, are at the forefront of the progressive art movements in the capital, and you can intoxicate with rebellion and cutting edge in their numerous galleries and art venues. If instead you wish to sample the crumbling beauty of an untouched decadent barrio, visit Barrio Dieciocho and its impressive palaces or alternatively, its more uplifted other half, Barrio República. Also, don’t forget to check out the plain and beautiful Iglesia de San Francisco and its dinky vicinity, the so-called Barrio Paris-Londres. Finally, if after all your sightseeing duties you decide to splurge, there’s Santiago Oriente and its voguish outlets and audacious restaurants to reward yourself.